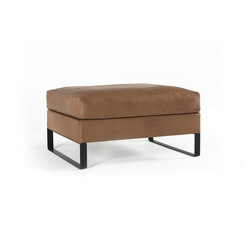 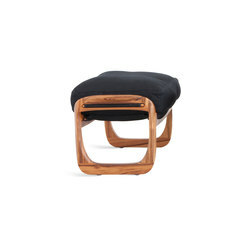 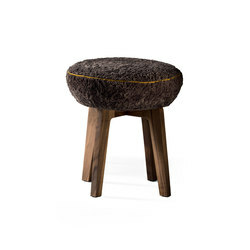 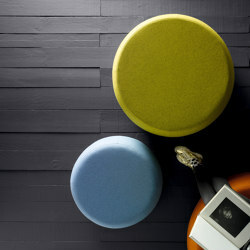 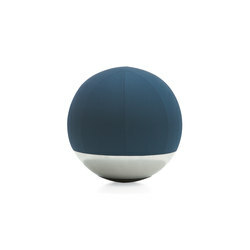 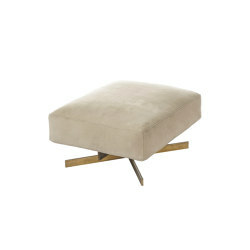 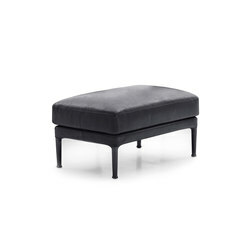 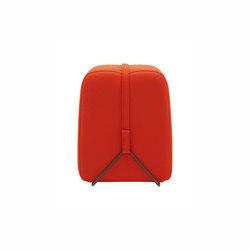 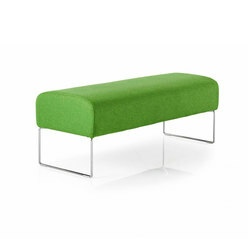 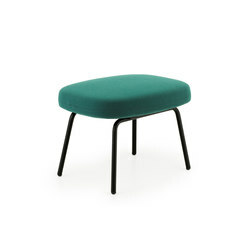 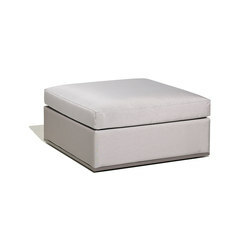 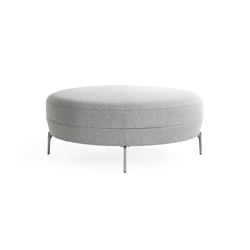 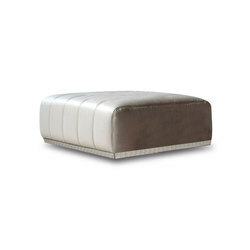 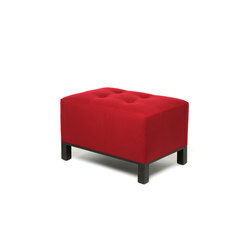 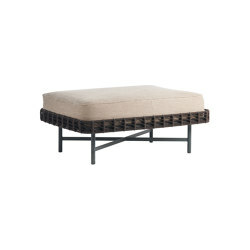 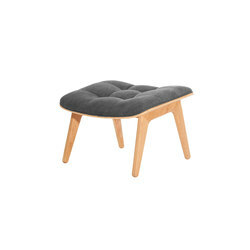 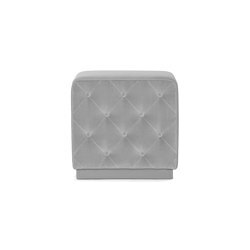 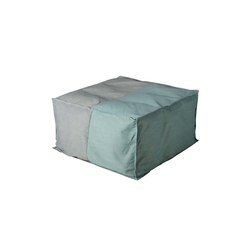 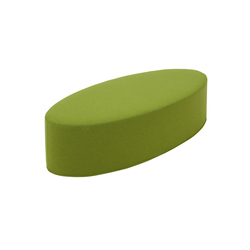 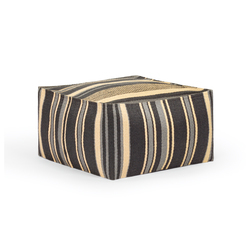 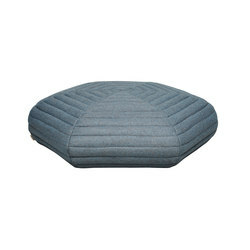 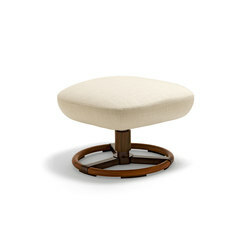 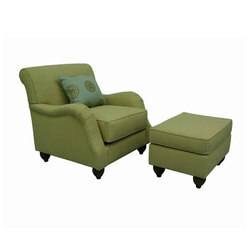 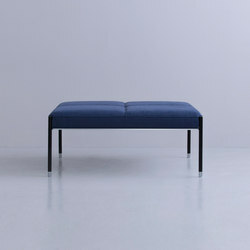 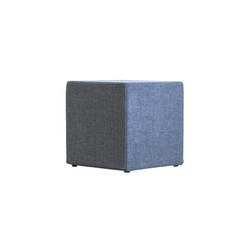 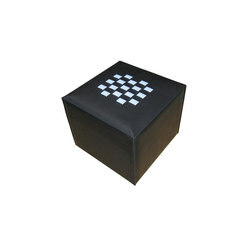 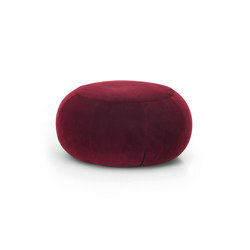 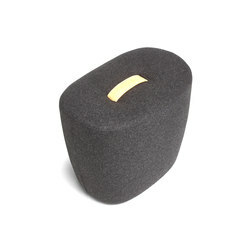 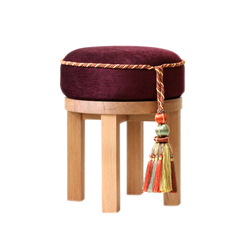 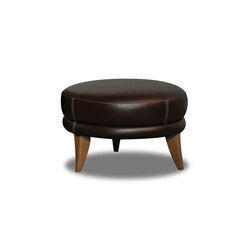 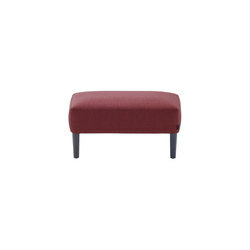 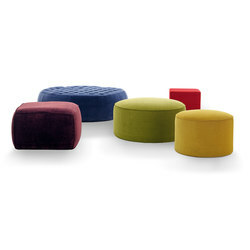 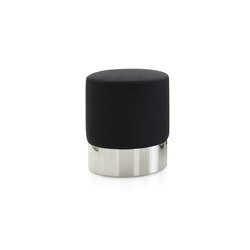 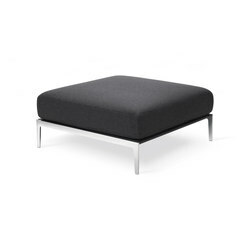 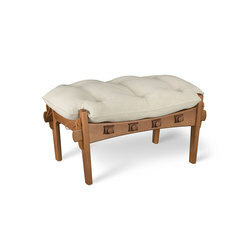 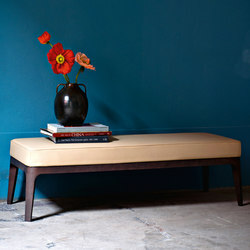 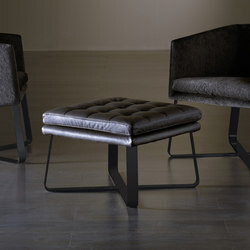 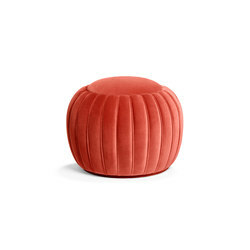 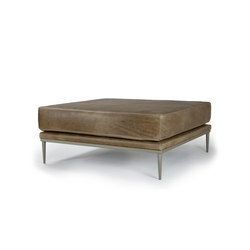 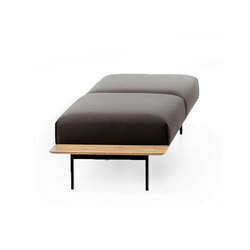 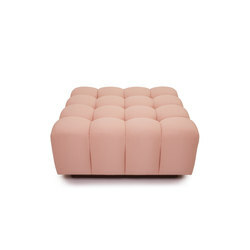 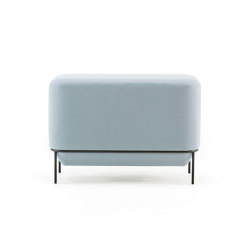 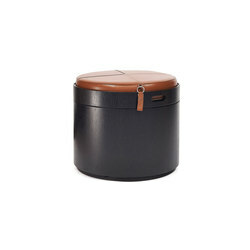 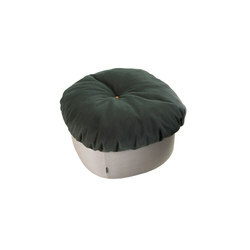 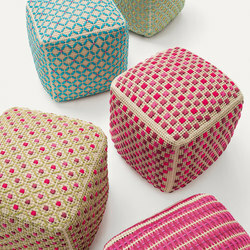 Poufs are essentially upholstered, low stools that can also be used as footstools, but are usually not produced to complement any particular lounge chair. 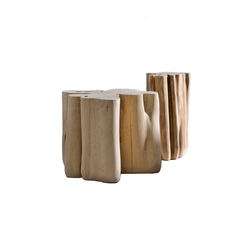 Their presence can enliven the interior as they can be used either to create a contrast with or underline the prevailing mood in the room. 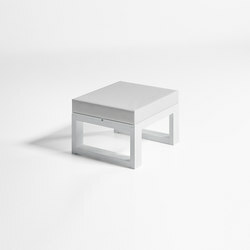 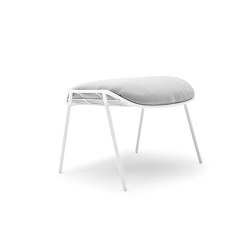 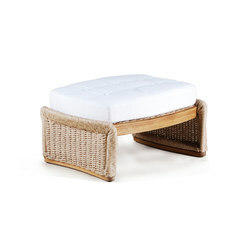 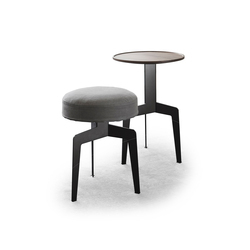 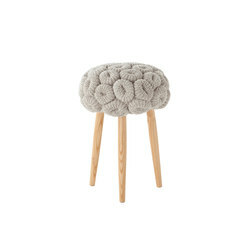 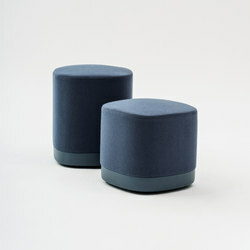 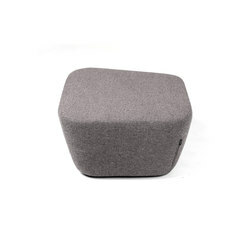 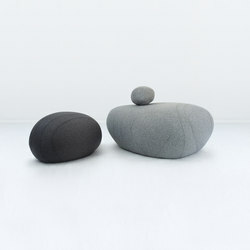 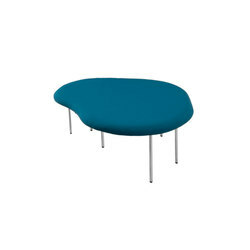 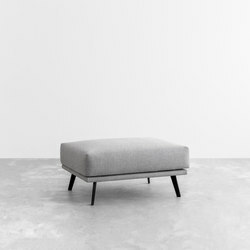 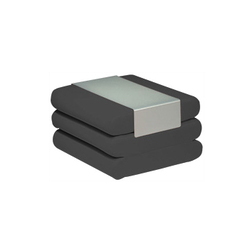 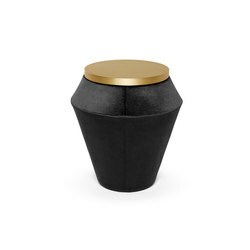 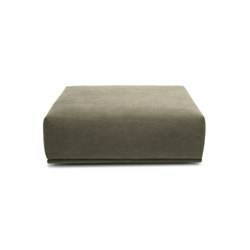 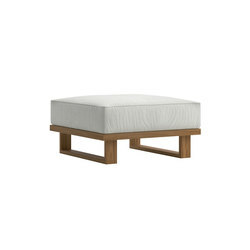 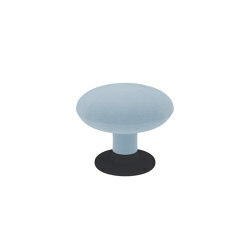 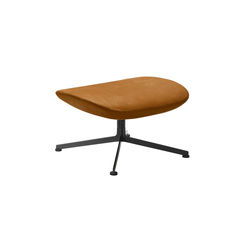 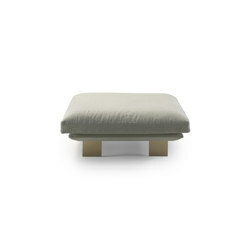 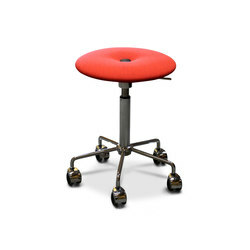 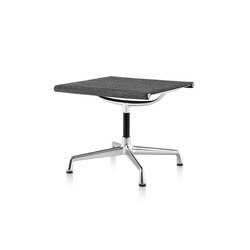 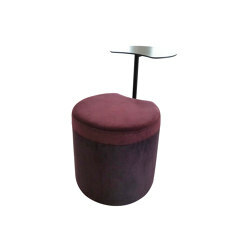 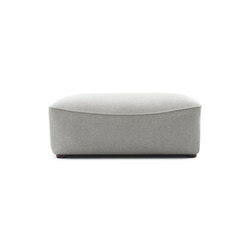 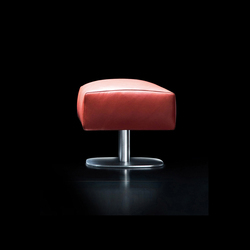 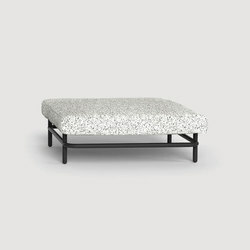 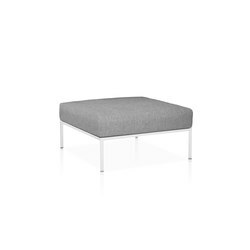 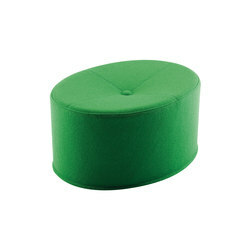 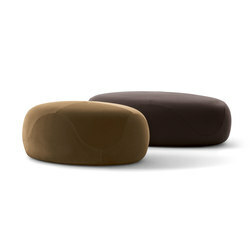 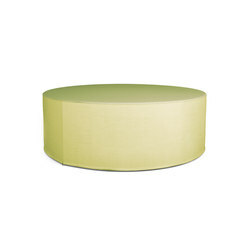 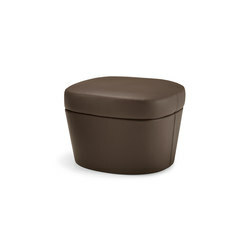 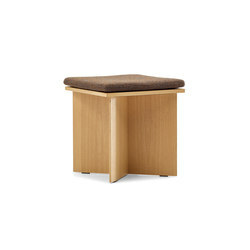 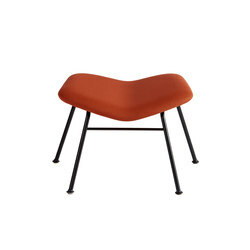 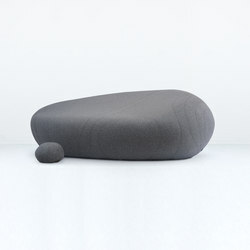 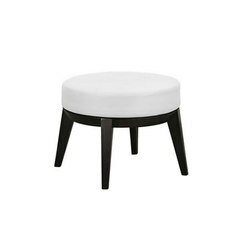 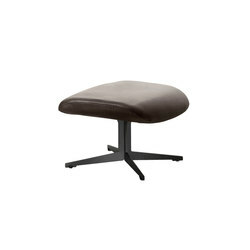 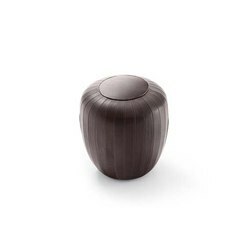 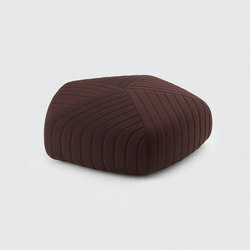 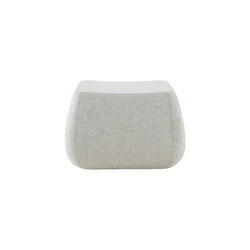 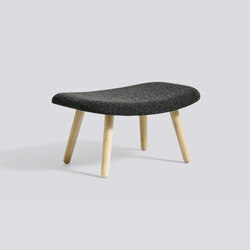 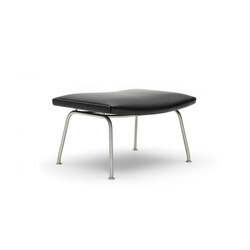 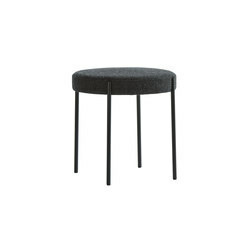 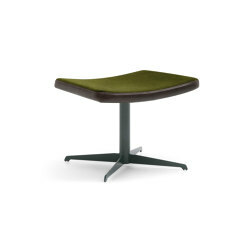 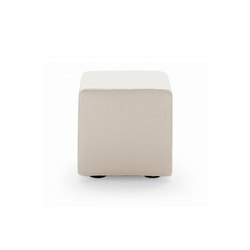 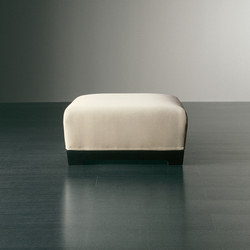 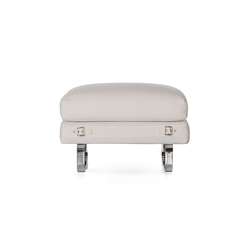 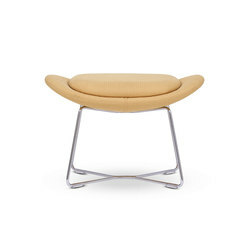 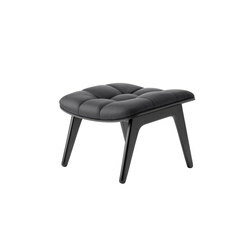 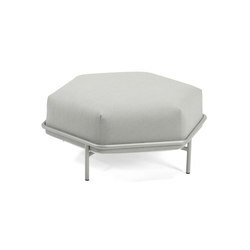 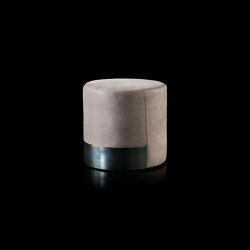 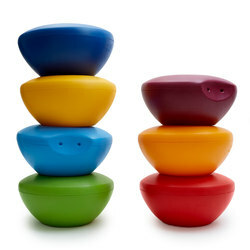 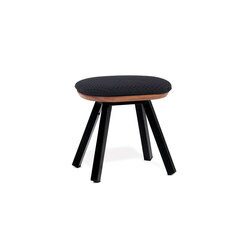 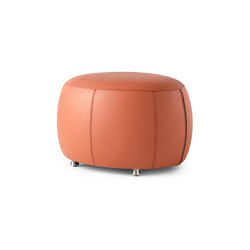 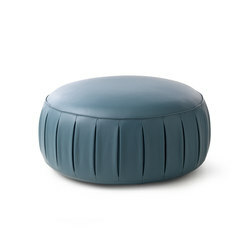 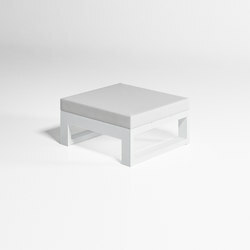 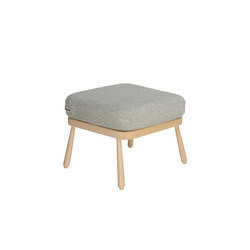 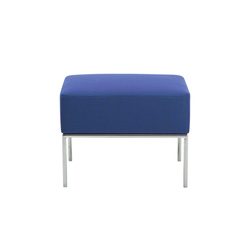 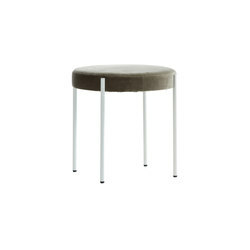 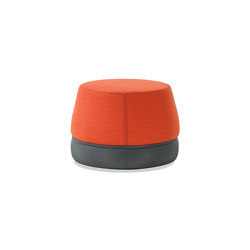 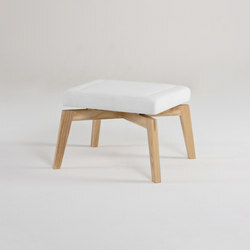 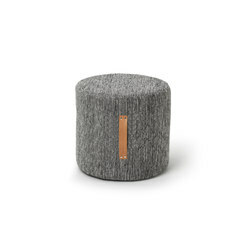 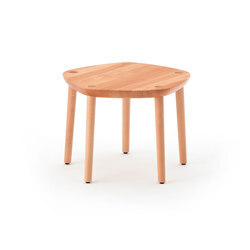 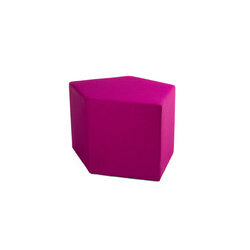 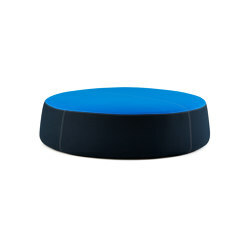 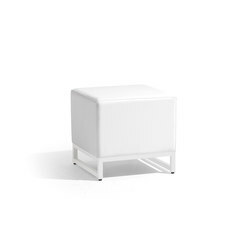 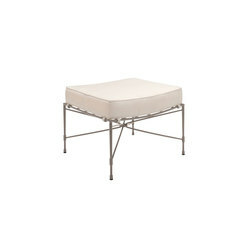 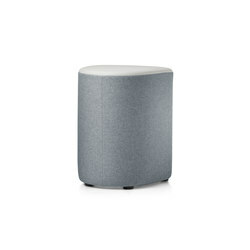 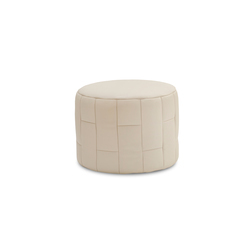 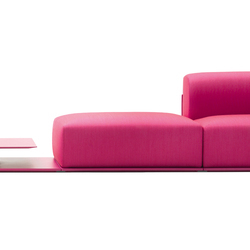 There are two common approaches in design: the pouf is either treated as a monolithic object or a small stool on supports. 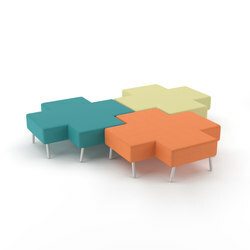 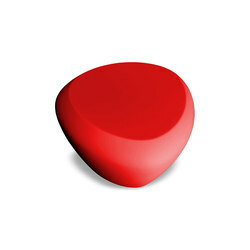 The first approach is probably more varied in its scope and range of solutions. 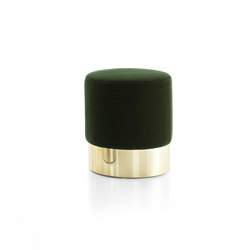 Consider Hella Jongerius’s 2005 ‘Bovist „Lacemaker“’ for Vitra, a multi-coloured, informal, and above all comfortably upholstered pouf against Marcel Wanders’s ‘Coffee table Elena’ for Bisazza, which is covered in cheerful glass and gold mosaic. 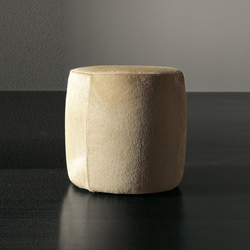 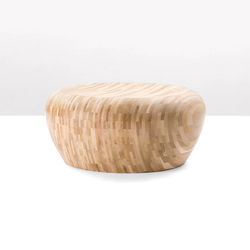 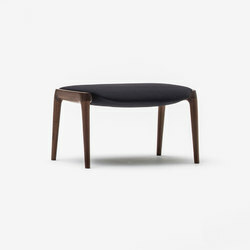 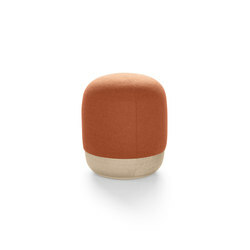 Jasper Morrison remains serious with his ‘corks Table’ pouf for moooi, a perfect cylinder with rounded edges made out of agglomerate cork. 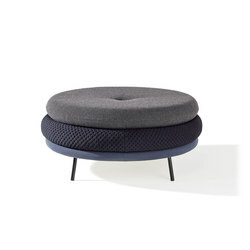 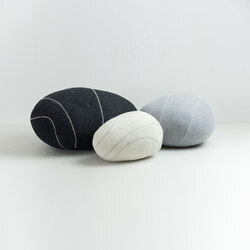 Flocks’s ‘Urchin pouf’, designed by Christien Meindertsma, is a somewhat serious affair too, albeit available in a range of colours and knitted from wool. 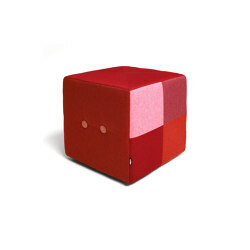 Paola Navone also knits a sweater around ‘Sweet 40’, her creation for Gervasoni, but does it less seriously. 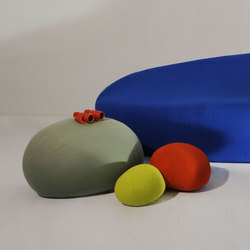 Fehling & Peiz confound all expectations and create a small family of life-sized, upholstered pigs with their ‘Still lives’. 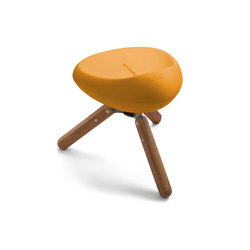 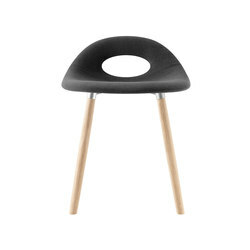 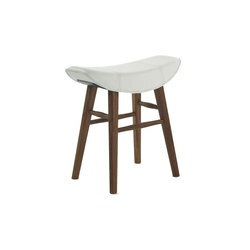 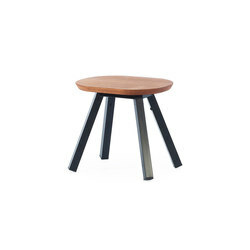 The stool category tends to be more serious, with designs such as Poul Kjærholm’s folding stool ‘PK91™’, produced by Fritz Hansen, and the Vitra-produced elegant ‘Aluminium Group EA 125’, opulent ‘Lounge Ottoman’ and ‘Freeform Ottoman’, the first two designed by Charles and Ray Eames, the last by Isamu Noguchi. 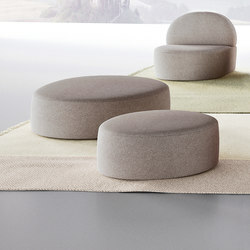 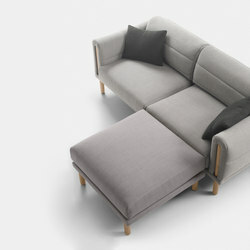 But there is certain informality here as well; witness the plush forms and bright colours of ‘Flores’, manufactured by Sergis; the Front-designed ‘Green Pedestal’ for OFFECCT, whose seat can be removed to reveal a space for potted plants; and the ‘Admiral 35 Hocker’, designed in 2010 by Benjamin Lange and Tobias Duckhorn for Made In Taunus, whose low stool offers a luxuriously plump, upholstered seat, complete with a prominent tassel.